"Introduced in the early 1900's by an unknown grower, 'Governor Mouton' is a medium-sized camellia of semi-double to loose peony form and vigorous growth habit. Coloring is oriental-red, often splotched with white." While there appear to be tiny spots of white in this particular photograph, all the others I had taken through the years showed solid red flowers. I love Margaret's plant because it produces bright red blooms all winter that grow in large clusters. You can see it from all the way across the garden. But when I went out to the garden on February 2 of this year, I was shocked to see that 'Governor Mouton' did not look like 'Governor Mouton' at all. There were no "oriental-red" flowers. In fact, most of the blooms appeared to be dark rosy-pink. And, much to my surprise, there were several variegated flowers. I had never seen any such blooms on the giant shrub (must be 15 feet high by an even greater spread). So what has happened? Despite my wish to start a camellia walk on my property, I never did. I now have several camellias, but some of them are struggling (I have now discovered the only sunny spot around my house - the very place I planted most of the camellias; I have moved three back into more shade; the others I'll move after they stop blooming). I have seen camellias on one shrub have different colors (not due to the understock). I've also seen a branch that was a sport and had some variegation where the other flowers are usually solid. But, for this 'Governor Mouton' - reliably red - to change colors all over the plant was shocking. What I was trying to say two paragraphs ago is that I don't have enough mature camellias to know why or how often this happens. The one plant that was here when I came in 1973 has never changed color nor had a sport or any variegation. I meant to join the North Georgia Camellia Society years ago, but due to time constraints, I didn't. The members with experience would know about this phenomenon. I'm curious, though, that an entire plant would change - not just a branch or two. At any rate, I hope 'Governor Mouton' will turn back to red next year. It has been one of the prettiest sights in Margaret's garden, now kept by her daughter Carol. The rose color is nice, and the variegated blooms stand out, but I like the plain old red. Above is the color of the flowers this year. Below is one of several variegated blooms. "But there is something about Time. The sun rises and sets. The stars swing slowly across the sky and fade. Clouds fill with rain and snow, empty themselves, and fill again. The moon is born, and dies, and is reborn........Around goes the circle of night and day, the circle of weeks forever revolving, and of months, and of years." - Madeleine L'Engle. If you've gardened for a while, you know that plants, even if you think they'll go on forever, can suddenly disappear for no apparent reason. You'll be walking along, and all of a sudden you realize a favorite trillium has failed to come up this spring. It took me several seasons to notice that the Phlox divaricata, which Miss Willie Johnston in my hometown gave me 30 years ago, had practically disappeared from my woods. At one time, I had two thick patches in a narrow border that has been overtaken by a boxwood hedge. I also had many clumps of the light blue, fragrant flowers that came up in the high woodland. For some reason, their numbers have dwindled. This year, I'm going to pay close attention and see if I can rescue the plants that are left and get them started again. On the other hand, I've been surprised and delighted to stumble upon spider lilies that popped up among the Siberian iris near my basement door. How they got there, I can't imagine, but what a thrill to discover them. Last week before the weather turned frigid, I drove out to Margaret Moseley's garden to see the daphnes and camellias in full bloom. Margaret left this world on April 28, 2015, a month before her 99th birthday. I thought it would make me sad to be there and see all the plants she'd put in herself, but instead I felt a sense of exhilaration. Margaret loved gardening, loved the friends she made through her passion, and had a ball giving plants away to visitors. Everything about her garden gave her pleasure. So, when I looked at all the camellias, the edgeworthia, the hellebores and daphnes she planted, I wasn't sad. Yes, I find myself wishing I could call her up and ask her opinion about a plant. Most of all, I miss her calls exclaiming, "You ought to see my garden today. It's the prettiest it's ever been." 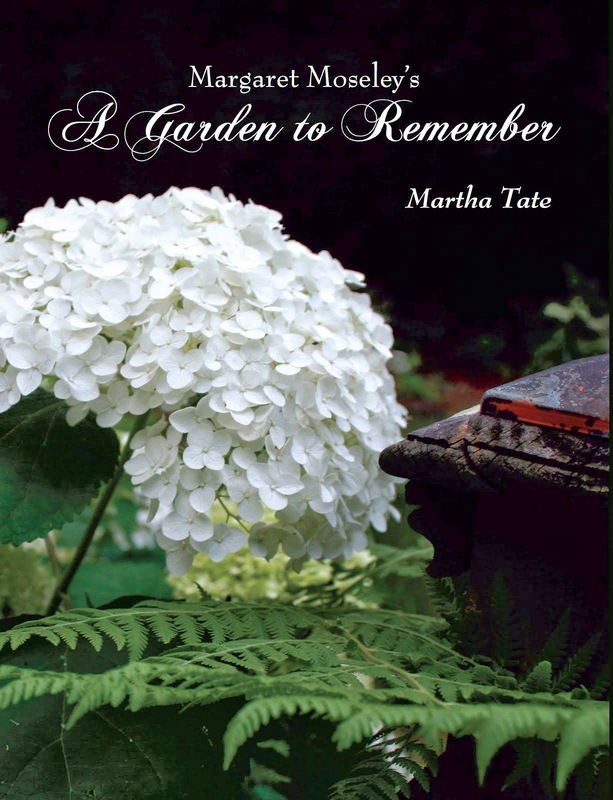 Often, the work of the gardener declines quickly after he or she is gone, but in Margaret's case, her daughter Carol is taking care of the garden. Not everything has survived, but due to Carol's work, some things have even made a comeback. I had missed seeing Margaret's prolific Helleborus niger; in fact, I hadn't seen a bloom for years. I was delighted to discover a snow-white flower standing up from the place where the clump had been. Carol had cleaned out that bed and had obviously freed the perennial. Perhaps one of the more persnickety shrubs is Daphne odora. Margaret had many over the years. When one up and died for no apparent reason, as they are prone to do, Margaret had a simple solution: "Just go buy another one." There are still several in the garden, sending the sweetest scent wafting over the grassy paths; one by the tool shed is around seven feet wide and four feet high. Then there is the one pictured above in the iron birdbath garden. In back of it is 'C. M. Wilson,' the camellia that became Margaret's favorite in her last years. A few blooms from Camellia x 'Fragrant Pink' can be seen on branches in the foreground on the right side. I've been looking at a place in my fairly new "Triangle Garden," and I now know it is perfect for a daphne. I may work in some more soil conditioner, but I think the spot drains pretty well. So, as the seasons come and go, I will always remember Margaret's enthusiasm and hope I can tap into the lessons she left. The world will keep on turning; plants will come up and then disappear, but that is all part of gardening, and maybe a part that makes it forever fascinating. Note: The quote at the top of this post came from the eulogy my daughter, then 15, gave at my husband's memorial service on June 21, 1999. She loved Madeleine L'Engle's books when she was a pre-teen and knew just the right quote to begin her thoughts about her beloved daddy.